I had a few different topics I wanted to wander through that didn’t necessarily have the weight of a full-length post behind them, so I decided to lump some things together. The first subject comes from the Adepticon tournament having completed the previous weekend. The winner of the tournament put together a massive post (linked here) that explains his run-up to the victory and his general strategy in the tournament. He also puts out a call-to-action that Wyrd needs to take a look at the strategy he employed in his crew and do something about it, or this will be a problem for them in tournaments going forward. Now, what does this crew do that is so powerful? It’s really just about using the ability to take the actions of Malifaux rats individually, then combine them into a rat king, then break down the rat king into a rat catcher and a rat. This chews up basically all of the actions of the opponent’s crews, letting you see what they’re doing and setting up the next phase, wherein Nix gives that remaining rat Haunting Memories to give it reactivate and then sacrifice it at the end of activation two, at which point Killjoy will be summoned. Typically, the result of this is that you have KJ in your deployment zone or attacking your critical models unopposed (because you’re in all likelihood activated out at this point, remember) while the rest of the Outcast crew moves to support him, typically in the form of some other critical alpha strike. The player in question would either slingshot the Victorias across the board, a move which has always been around but was very risky in the early turns because it typically left them exposed and vulnerable to counterattack, or used Leviticus and Ashes and Dust to cross quickly and cause disruptions. I think the cleanest example of this going the way it should comes from his battle report in the first round against Dan Johnsons of Before We Begin, where Nicodem starts the turn doing Nicodem things, and then gets killed at the end of turn 1. The phrase “I then killed the rest of his crew” coming in turns 2-3 against Resurrectionists isn’t something you see very often, and underscores the potential power of this setup. Now, does this need to be shut down? Probably, but not for the reasons you’re thinking. I’m like you. The first time I heard about this I was thinking it was too strong and needed to be nerfed for competitive balance reasons, and maybe that’s true. If you go talk to Joel Henry (as I briefly did on Twitter) he’ll inform you that a ranged caster like a Sonnia or Rasputina can mess up the rat engine and that Pandora simply wrecks this crew. Ok, I don’t know enough to say whether that’s true, but even the person running the crew pointed out that an opposing Outcast crew built to deny charges can cause him trouble as well, so the combination of models is not unbeatable (as we all know nine belles and Leviticus is.) But why then do I think it needs to be nerfed? The first is that this isn’t the game working as intended. 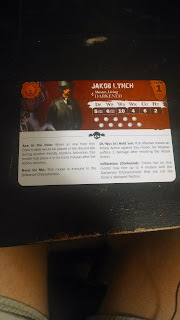 Stalling through the first parts of the game to avoid the back-and-forth nature of the activations followed by a burst combo that knocks your opponent out and leaves them unable to respond are very anti-Malifaux. It’s not fun to play, and it’s really not fun to play against. Also, if the combo falls apart early and the crew gets overextended, you can find yourself in the opposite situation where now the matchup is slanted hard in the other direction and will likely be not a particularly fun game for either player. Is a boring crew enough to warrant an errata? Well, if you were around for M1E and were conscious of tournaments after the second book came out, you can probably recall not seeing Hamelin very often. Hamelin could do this sort of activation control every turn of the game (rather than just early) and was widely considered to be a negative play experience for this reason and was (rightly) shunned by the majority of the Malifaux world. Combine that with not being able to play even close to the whole game in a timed environment against an opponent that was running a Hamelin list, and it was a terrible option for a tournament that was largely ignored. This example doesn’t apply exactly to this situation, as running over time could often be as costly for the person playing the crew as their opponent, but it gets the point across that NO ONE WANTS TO PLAY AGAINST THIS, and often people don’t even want to use it either. The other problem allows me to hearken back to one of the first gaming “this is unbalanced, we need to do something” situations I can remember: the Black Summer. Settle in close, kids. Grandpa’s going to tell you a story. Way back in the late 1900’s, there was a Magic: The Gathering deck that used a card called Necropotence to trade your life for card advantage. This combination wasn’t game breaking like the rats are being argued to be, but what it did do was let you vastly outdraw your opponent and speed them down in an early phase of the game when there weren’t practical ways to stop it with a normal deck. Decks could beat Necropotence, but they had to be specific decks like Turbo Stasis that could lock them down and keep them under control (which, ironically, is more like the rats, but I digress.) 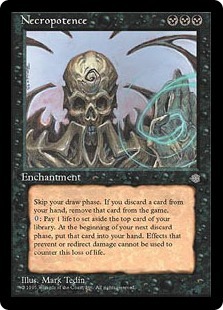 And that created the situation in the 1995 Magic: The Gathering known as The Black Summer, a period where to compete you had to either have the Necropotence deck or its counter, and nothing else could realistically win at the highest competitive levels. Now, this isn’t quite that situation, but it has the potential to turn into that. I will be the first to admit that the Outcasts are one of the factions I know the least about, so I can’t comment from a position of authority whether this rat list is really The BestTM way to play them, but let’s say for the sake of argument that it is (the field at Adepticon appeared to think so, as most if not all of the top end players were running a form of it.) Now, let’s say the trend continues and competent Outcast players are all going to be running this because its objectively better than what else they could bring, AND you know that you have to tailor your list to beat it or it will just wreck you while leaving you no way to respond. You’ve brought, say, Hoffman because you like that list, but you know that a Victoria crew that gets to launch itself into you at the end of the first and can ignore the armor of your constructs will essentially leave you no chance to win. Are you now forced to change you crew around completely to give yourself a chance, say by switching to Sonnia to blast the rats and screw up the activations on the first turn? And if so, is that a good thing? To a degree, you do this every game when your opponent declares their faction (oh, they’re running Ressers? Better bring stuff with high minimum damage and willpower) so this isn’t a complete change. But, the difference is that bringing your standard crew rather than changing the list to react to your opponent against those Ressers means that you might have a somewhat tougher game and may have to work your way uphill to win the game. If you are unprepared for these rats, it appears you are most likely going to lose and be unable to stop it. That’s the difference here, and that’s where there’s reason for concern. Again, this is not an unbeatable “win button.” Things can stop it, and not knowing what you’re doing while running it will still cause you to lose. However, the original poster made no bones about the fact that he doesn’t consider himself to be that good of a player, but the combination is too strong and needs to be addressed. I think something should probably be done, but I’ll let you draw your own conclusions. In any case, if your opponent is playing Outcasts, be aware that this exists and be ready. And, also, feel free to contribute to the discussion. Second, I’m still thinking about things to do with the Wrath of Nature crew. Some models from outside the theme will be pretty helpful to include, I’m thinking, so I may have to loosen things up a bit. I think Mr. Graves could be pretty helpful in both phases of the game, largely due to his movement tricks. He could help with moving some models that aren’t that quick upfield early and then throw enemy models into the hazardous terrain later. It should be good times. And he’s a Nephilim, so why not work for Lillith? Also, Tuco might be useful to hold parts of the board away from the terrain ball, deploying with From The Shadows. Also, this would provide some ranged combat to a crew that effectively has none. Here’s a picture or two of progress so far on painting and assembly. Finally, there’s an announcement to make. 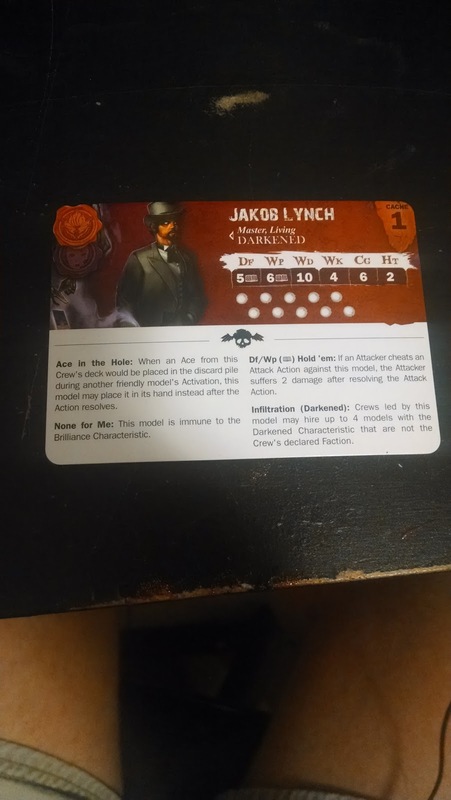 My old buddy and Malifaux partner Jon has written a guest post for the blog to discuss his experience playing at Adepticon. I’ll be posting it soon. This opened up an idea for me to let others write for the blog from time to time as well. 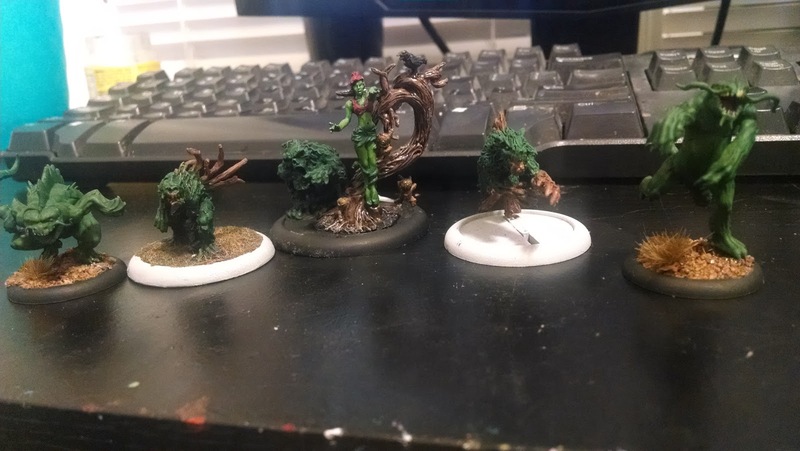 So, if you have something you’d like to get off your chest about Malifaux, can put a sentence together ledgibly, and want to see it published to literally dozens of readers, drop a line to malifauxmusings@gmail.com and let me know. I’m happy to have you! It's like they packed it for me personally.